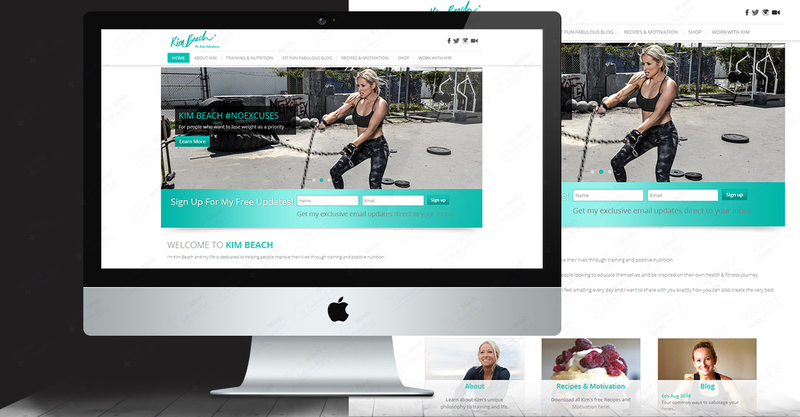 Over the past 13 years, Kim Beach has helped transform the lives of countless women through her authentic, inspiring approach to health and fitness. But Kim’s path to success hasn’t been straightforward – like all of us, she’s gone through tough times, and has had to juggle her roles as a businesswoman, mum and partner. Fortunately, with her unfailing optimism and loyal support network, she has shown that embracing your true self really can be the best approach of all. Taking her years of experience as a personal trainer (plus a wealth of knowledge distilled from countless books) Kim gradually developed her own unique approach to wellbeing – and it’s all about finding a healthy balance that’s right for you. Her approach combines flexible exercise programs, accessible nutrition advice and ongoing motivation – and it’s been proven to change people’s lives for good. Over a decade’s knowledge has gone into developing Kim’s two comprehensive fitness programs: #noexcuses and #nolimits. Coupled with a constant stream of healthy recipes from Kim’s Kitchen, and an uplifting social media presence, and you’ve got all the ingredients for positive transformation. Kim Beach Overall rating: 5 out of 5 based on 27 reviews.